God led Bill and Susan Wilkinson to Arctic Barnabas Ministries in 2013 and fulfilled their desire to provide a home for Arctic pastors, missionaries, and their families to come and relax, refresh and renew. 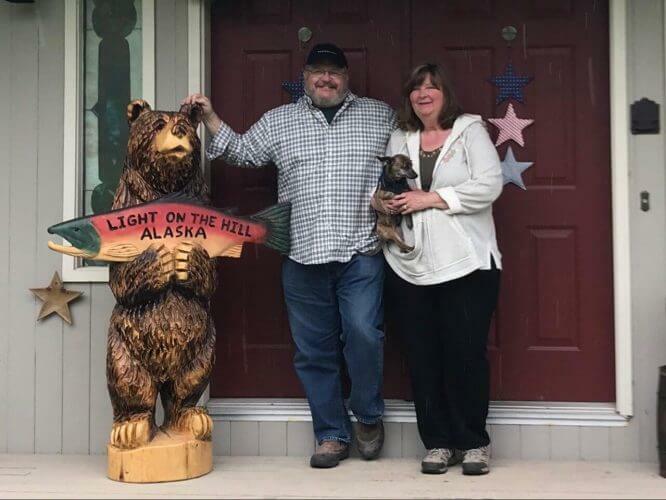 As associate staff with ABM, they run “Light on the Hill Alaska” in Homer. They love Alaska and God gave them a heart for its people to hear the good news of Jesus. Both Bill and Susan grew up in Northeast Ohio. Bill became a Christian at Stow High School because of John Wilson, a brave teenager who shared his faith in the hallway. Bill worked as a financial consultant for thirty-two years. In his forties he finally understood Proverbs 3:5a, “Trust in the Lord with all your heart.” After they settled in the small town of Malvern, Ohio, they found Grace Chapel, a great church where God began to pull their hearts toward full-time ministry. He used this time, the wisdom of many counselors including Pastor Kirt Henman and many godly friends to direct their hearts and minds to work for our Lord in Alaska. God drew Susan to Himself in her early twenties. She became a Christ follower and enjoyed her role as a stay-at-home mom. In her thirties, she struggled with the news of inoperable lung cancer, but God used this time to give her a heart of compassion and a desire to serve him. God used two doctors, their skills and lots of prayers to save her life. Eighteen years later she continues to minister His love and grace to others. Bill and Susan consider it miraculous that they crossed paths and worked many miracles to bring them to this place of ministry. God also blessed them with five amazing children and eight equally impressive grandchildren. Their gratitude reaches out in praise to Him. Bill and Susan currently reside in Homer AK.